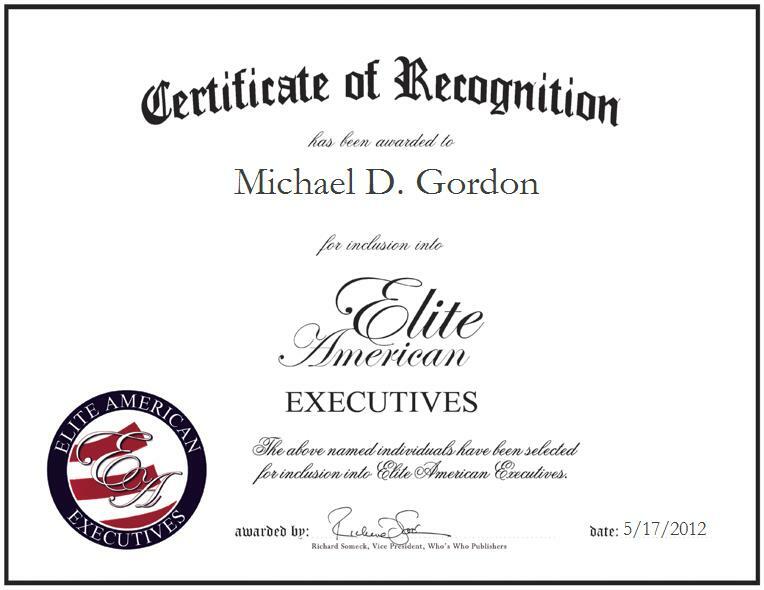 Michael D. Gordon is a Senior Claims Analyst for MECC, a leading provider of workers’ compensation products. As head of the claims department, Mr. Gordon assists self-insured employers with their claims. He possesses more than 32 years of premium professional experience, and over the course of his career, he has refined a skill set which has enabled him to add to the overall success of his employer. Mr. Gordon possesses experience in workers’ compensation for various jurisdictions throughout the United States. The company has focused exclusively on providing workers’ compensation products to individual employers and groups across the country and is committed to helping self-insured, large deductible and reinsurance clients reduce their total cost of risk. It has made significant investments during the last 20 years, developing information capabilities and cost management tools that empower clients to achieve their financial goals for their self-insured programs. After refining his expertise in the workers’ compensation field throughout the past three decades, Mr. Gordon would like to mentor the younger generation to help give back, and pass on some of his knowledge and tips that he has learned over the years. In his spare time, Mr. Gordon enjoys playing golf and attending his son’s baseball and soccer games.